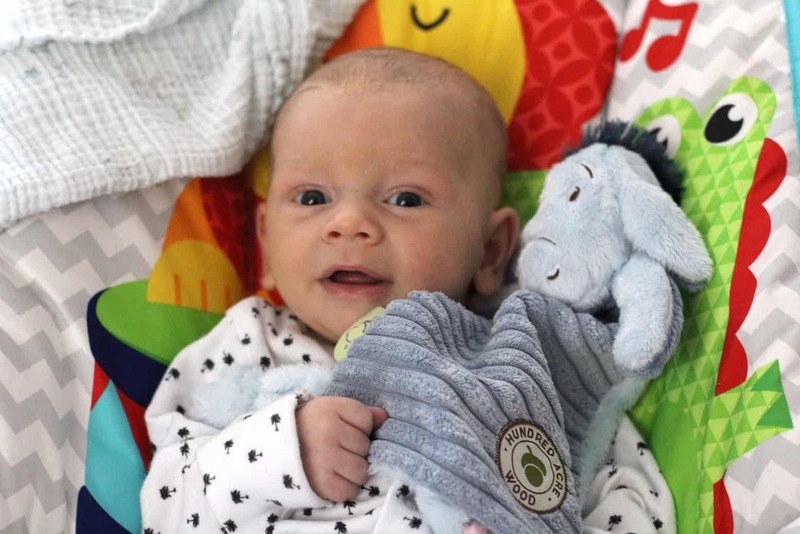 Hugo was kindly sent two Disney soft baby toys from Rainbow Designs an Eeyore comforter and Tigger Rattle Ring which he has been enjoying over the last few weeks. We are a big Disney household and are particularly big fans of Winnie the Pooh! The idyllic setting of Hundred Acre Wood and that honey-loving bear just take me right back to my childhood. I have been recently introducing Winnie the Pooh to Hugo even though he is still a baby I would love it to have as much meaning to his childhood as it did mine. 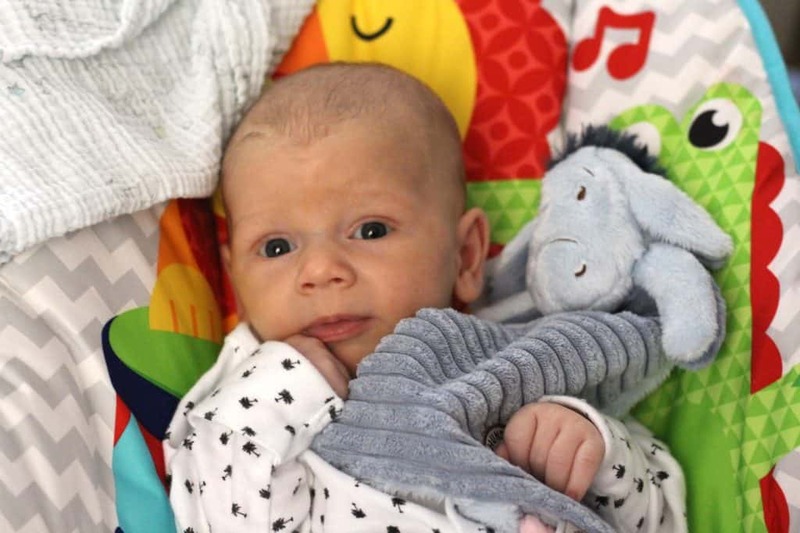 Hugo has just started to grasp things for a purpose and when he is going to sleep he gets great comfort from grasping a blanket or soft toy. 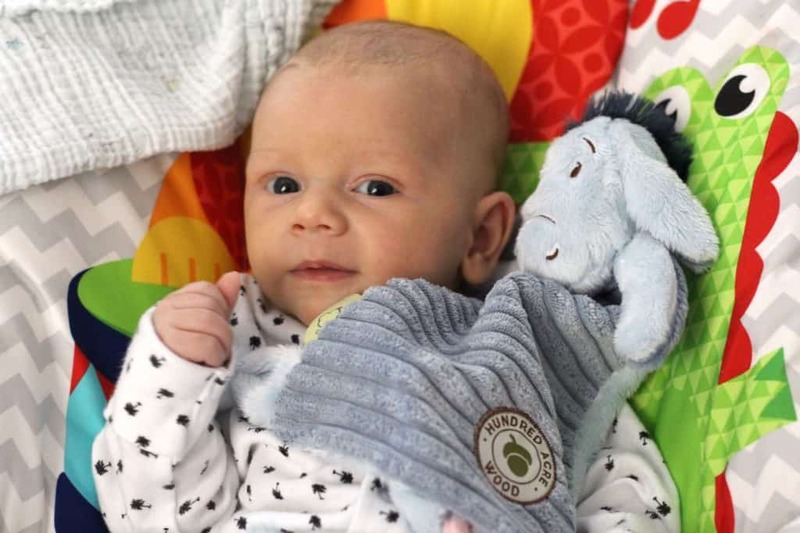 The Rainbow Designs Eeyore Comforter is the perfect size and material for Hugo’s small hands! It’s super soft and cosy perfect for a small baby to cuddle for comfort. When Hugo is feeling tired he will hold the comforter and gently fall to sleep. If he is upset or grizzly I will gently stroke his face with the comforter which instantly calms him down. I can see this becoming a favourite item for Hugo that he will treasure as he grows up. The gorgeous Tigger rattle ring is the perfect size for smaller children and babies to grasp hold. The rattle itself isn’t too harsh so ideal for babies. Hugo likes to turn his head toward the sound which is fantastic for his development. As he gets older he will be able to grasp the ring himself. It’s the perfect size to take out and about and is super soft to touch so no risk of babies hurting themselves as they are moving it around. The rattle is great for distracting Hugo if he begins to get upset or impatient and is a great way to interact with him. It’s hard not to be impressed by items that are so well made. 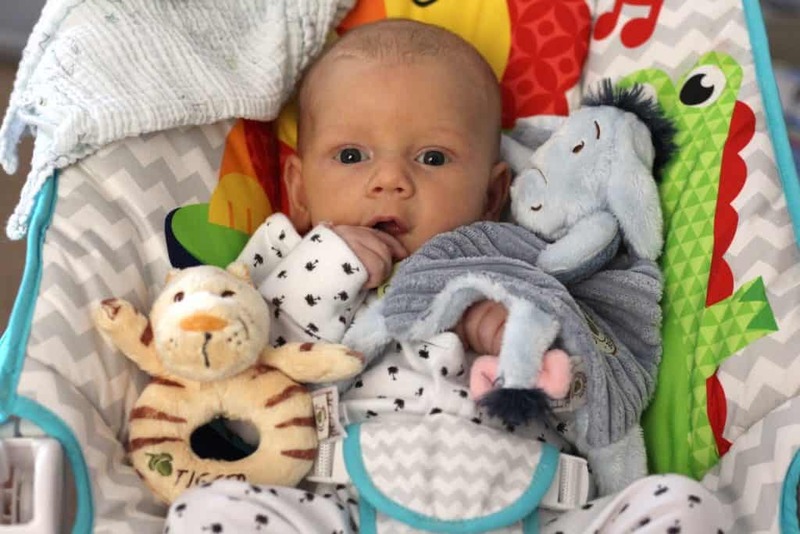 I could easily be sold on the design alone but both the Eeyore Comforter and Tigger Rattle Ring are practical and have clearly been made with the consumer in mind. They are the perfect feel, size and shape for babies and young toddlers and would make great gift ideas for new parents. You can purchase your own Eeyore Comforter and Tigger Rattle Ring from John Lewis. 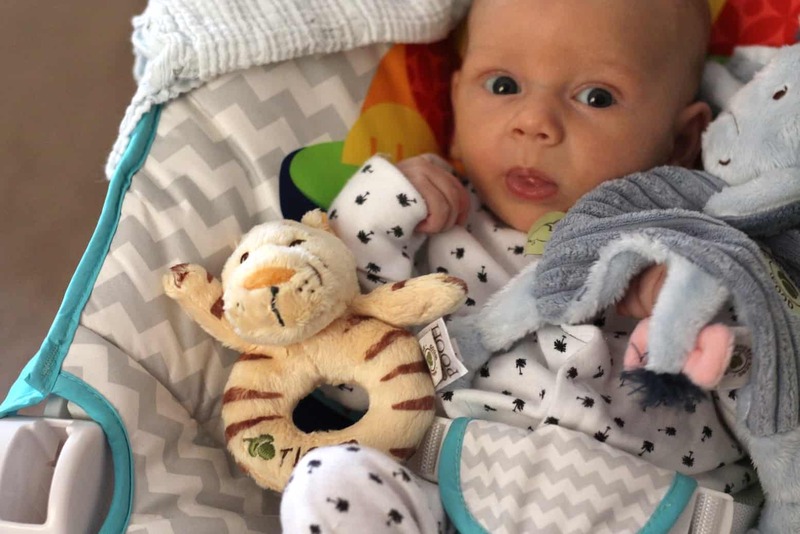 The lovely people at Rainbow Designs are kindly giving one of you lucky readers the chance to win your very own Eeyore Comforter & Tigger Rattle Ring. Simply follow the steps in the Gleam Widget below to be in with a chance of winning. Please read the T&C’s before entering. Entrants must be 18 or over and live within the UK. This post was written in collaboration with Rainbow Designs. As always all words, opinions, and views are my own. For more information on any of this please head over to this page.